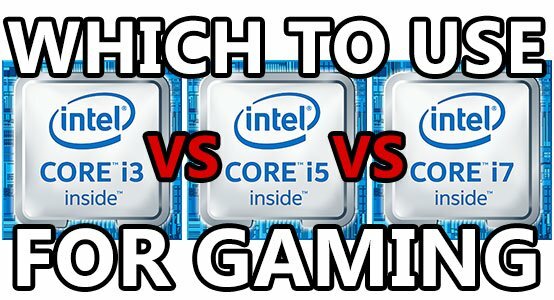 Intel i3 vs i5 vs i7 – Which should you use for gaming? 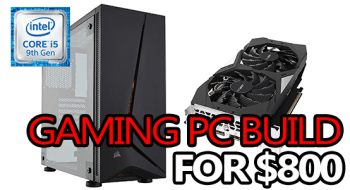 So, you’re building a new PC for gaming (maybe upgrading an old one?) and you want to use an Intel processor. But, you’re hung up on whether to use an i3 vs i5 vs i7. No problem! Let’s go over what sets each of these processors apart including their merits and flaws when gaming. 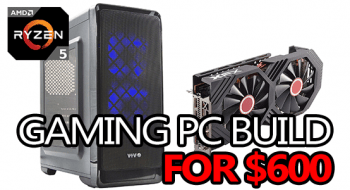 Whether you’re wondering if it’s actually worth it to drop the money on an i7, or you’re trying to save as much money as possible without skimping on your build, it always pays to know what you’re buying before you buy it. That said, it’s a good thing you’re here! For the purposes of this article, let’s assume that you’re getting at least an 8th generation Coffee Lake processor; like the i3 8100, i5 8400, or i7 8700. If you’re not, you should consider it because the 8th generation is a major upgrade on everything prior. 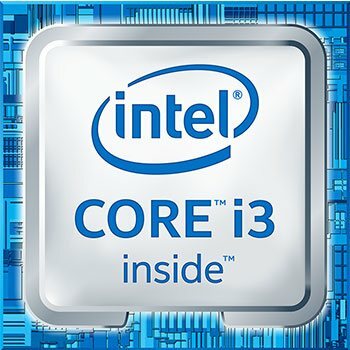 Desktop-based Core i3 processors are now mainly 4-core/4-thread, i5 processors are primarily 6-core/6-thread, and the i7 lineup is generally 6-core/12-thread thanks to Hyperthreading. As you’re probably assuming, i3 perform the worst, i5 are in the middle, and i7 are the best. But, that doesn’t mean you have to buy an i7 to play games comfortably, not even close! That’s some pretty impressive performance coming out of the i3 8100! Keep in mind the i5 8400 has 2 more cores and threads than the i3 8100 does. 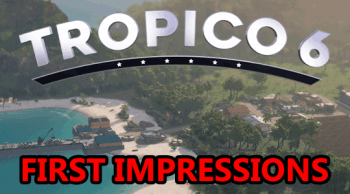 Either way, 120fps in Battlefield 1, 60fps in Arma 3, 140fps in ME: Andromeda, and during the driving portion of the GTA:V benchmark (a very CPU heavy game) there were points when the i5 and i3 performed almost identically! That’s decent and not what we would have expected from previous generations. Like I said, there’s definitely no need to feel like you absolutely must buy an i7 or an i5 otherwise your gaming PC will be bad! 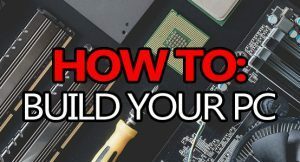 It’s quite the opposite as you could easily build a sweet setup while using something as seemingly basic as the i3 8100. If you’re sitting there thinking “yeaaah right, the i3 suuuucks!”, then I have one more benchmark comparison for you. The i3 8100 vs i7 8700K comparison. Both setups are running the same GTX 1070 8GB. Crazy, right? There wasn’t even a massive difference in a lot of the games tested. Granted, there was a 50fps or so difference in Battlefield 1 and there’s a noticeable difference in frame times throughout every game, but when you’re comparing a $130 and a $350 CPU there have to be some compromises! Which to use for gaming? Obviously, anything from the i7 lineup is going to net you the highest performance. 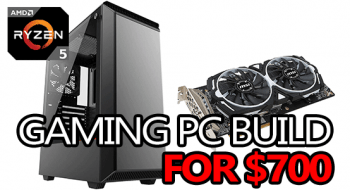 But, they’re also going to cost you the most, and in some cases you would probably be better off putting the extra $100 or so towards a stronger graphics card (GPU) or more system memory (RAM). That said, if you’re aiming for high frame rates in 4K, an i7 is definitely the way to go. Generally speaking, an 8th generation Intel i5 is more than enough for comfortable gaming at practically any resolution. They’re basically on par with last generation’s i7 lineup which is rather impressive – an i5 8400 can pretty much keep up with an i7 7700 as an example. This is what I’d suggest for most people unless you’re spending upwards of $1500 on your build and are looking for a super smooth 4k+ experience. Like we saw in the benchmark comparison videos, the i3 8100 is no slouch either. 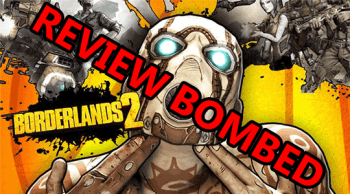 It has no problems putting out great frame rates in pretty much any game out there. This is a great CPU to pair with graphics cards from the GTX 1050 all the way up to a GTX 1060 or RX 580 – or pretty much anything if you wanted to. If, for some reason, you’re upgrading or buying an older processor, the old rules (I just made them up) still apply. The i3 lineup is not ideal for gaming, you should save more for an i5 in this case. The older i7 lineups, are still solid to a point and can perform quite well… Just nowhere near the 8th gen most of the time. 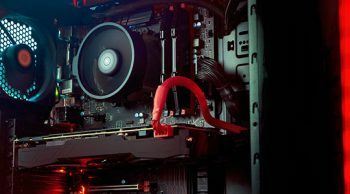 When you’re building a gaming PC, your graphics card should always take precedence over your processor – it’s doing the bulk of the work when gaming after all. An i3 8100 paired with a GTX 1070 is going to outperform an i7 8700K paired with a GTX 1050 Ti every single day. In terms of strictly gaming, of course. If you’re an “eSports” streamer (CS:GO, Dota2, LoL, Rocket League, things like that) then a setup running a top-of-the-line CPU paired with a weaker GPU might not be a bad idea. But, for everyone else, you pretty much always want to focus on your GPU. That’s why most people should ignore the i7 lineup, unless you’re spending a good amount on your build anyway or you actually need the CPU power for something productive. Otherwise, an i5 would work great while saving you around $100 that could be dedicated elsewhere – like a better graphics card. Even the 8th generation i3 lineup has its merits when gaming and should not be overlooked just because you might have read a 4-year-old forum thread about how weak the old ones were! Hi Branton, I enjoyed the article. 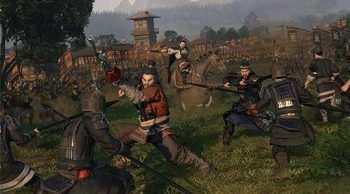 I’m basically looking to build something that can make older games look good in 4K. For example, Super Mario Galaxy with some of the cool texture packs that the fans are putting out these days. What kind of processor and graphics card should I be looking at? Where can I skimp? Thanks bud. I’d recommend something running an AMD R5 2600 processor paired with at least a GTX 1660, but the GTX 1660 Ti would be better. You’d also want no less than 8GB of RAM. If you wanted a baseline, I’d check out my $700 build. I agree. This is very true. With the new 8th and 9th Gen Intel CPU’s the i3,i5,i7 moniker no longer applies. The new i3’s are true quad cores unlike the old i3’s witch are dual-cores with hyper-threading. The same applies to the new i5’s which are hexa core (6core) processors instead of quad cores. But the naming scheme changes yet again with the new 9th Gen i7 9700K. It’s a straight 8 core without HT compared to the 7th Gen i7 8700K that has 6 cores and 12 threads. Making the i9 9900K looking like the upgrade option from the 8700K with it’s 8 core 16 thread design. I just built a new fully custom PC, and money wasn’t a concern. So for me I got the last Gen 8700K ($280) I found a deal. instead of the 9th Gen 9900K ($560) cause price to performance ratio still has a say-so when I’m building. Also, I went with a last Gen High-end z370 motherboard (Gigabyte z370 Gaming 7)($145) to be exact. Cause it has hands down the best VRM components that they also use on x299 HEDT MB’s. So a last Gen High-end z370 MB over a mid-range new z390 MB made more sense. and it’s the only z370 MB that can handle the new i9 9900k with a bios update, overclocked to 5Ghz+ without thermal throttling. then i found a 16GB 3200Mhz CL14 kit of G.Skill with really low timings for $112. I was able to overclock the 8700K to 5.3Ghz (I won the silcon lottery) with the Ram clocked at 4Ghz. I had the rest of the parts like case,power supply ect. I built a rig that’s faster than the new 9700K (stock) and just as powerful as the 9900K for less than what the i9 9900K is listed for. If you do the research and find some clearance sales you can build a pretty potent rig. for a fraction of the cost. P.S. i was do for an upgrade. coming from an eVGA 680i SLI Rev. 02 and a q6600 (GO stepping) remember those, overclocked to 3.6Ghz. So yeah. I can say that after 11years with a PC i hope this new one hangs in there and can last as long as my trusty ol’monster.